Ph.D. is the ultimate step in the ladder of education. It is a globally recognized postgraduate academic degree awarded by universities for one’s extensive research in a particular field of subject matter. According to trends of the last few years health, legal, education, engineering, and biological and biomedical sciences are the fields which witnessed the highest number of doctoral degrees being awarded. Ph.D. is an emotional, physical and financial investment that focuses on a thorough study of the particular field. One needs to be fully invested in this decision since this several times comes at the cost of a steady job and source of income. However, the urge to being best at what acts like a catalyst in this decision. On the whole, Phd is a career driven decision that contributes to the acceleration of career and long term individual goals. 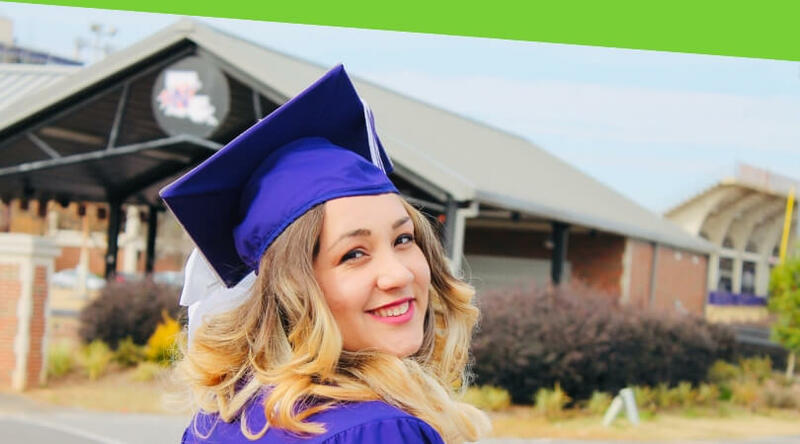 Academic Ph.D. is the standard doctorates that are generally awarded to students who have submitted extensive and original research in the chosen field. They focus on broadening theoretical understanding and development of subject so far instead of working on practical aspects of the subject matter. Professional Phds are the doctorates awarded for research and development that directly impacts the practical aspects of the subject matter. It is more focused on extensive analysis, practical training such that it brings in advances in the vocational field of subject matter. This would require students to be equipped with field experience as well as theoretical knowledge. 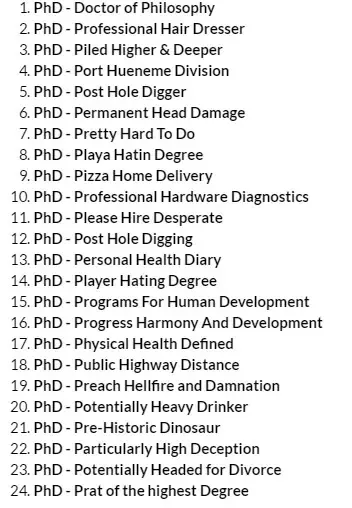 Higher Phd is the doctorates awarded to people with advancement in their respective careers. This is a means of recognition being awarded to them. This program is limited to senior practitioners thus not awarded to students. Honorary Ph.D. are doctorates awarded to recognize one’s work and achievements in the specific field. There lies no fixed laid down terms for one to acquire this. These are awarded by the discretion of the university. Students cannot enroll in this programme. Doctor of Philosophy:- This academic Ph.D. is awarded in various fields of available subject matters. Doctor of Business Administration:- This is a professional Ph.D. that focuses on work, research and analysis in the field of Business and Administration. Doctor of Engineering:- This is a professional Ph.D. awarded for research and development that directly impacts the practical workings of Engineering. Doctor of Education:– This is a professional Ph.D. awarded for development in the field of imparting Education. Doctor of Social Sciences:- This is a professional Ph.D. awarded for advancement in the field of social sciences. Doctor of Divinity:- This academic/honorary Ph.D. is awarded for theological and religious study. Doctor of Architecture:- This is a professional Ph.D. awarded for research and development that directly impacts the field of Architecture. Doctor of Medicine:- This is a professional Ph.D. awarded for advancement in the field of medicine theoretically and practically. What is the full form of a Ph.D.? The tenure for doctorates or Phd Course durations varies from 2 to 6 years depending upon the field of work and time contributed. Traditionally Ph.D.’s were limited to sciences and social sciences. However, over the last few decades with the evolvement of economies, business schools mended their ways from having an utterly vocational bend towards research focused training to Ph.D. in business and management thus opening up scope for Ph.D. after MBA.